Do you ever look down at your black laces and think there’s something missing? Sure, they’ve got oomph, but they lack subtlety, and they don’t exactly leave you wanting to know more. What you need are some threads that offer the same statement of intent with a little more soul. What you need is the James Brown of the trainer fastening world. What you need is a pair of our Flat Blue Shoelaces. These laces line the shoes of the person who sits in the corner and taps their feet to the beat. They are an old soul, an original classic, effortlessly cool. These threads project confidence in an understated way. They say that you’ve got rhythm and you’re not afraid to use it. Wearers of this particular lace can be found in smoky blues bars, late-night funk sessions and underground jazz clubs. They know that the old stuff is the best, and that if it ain't broke, there’s no need to fix it. These soulful laces have never and will never be replaced. They are timeless. 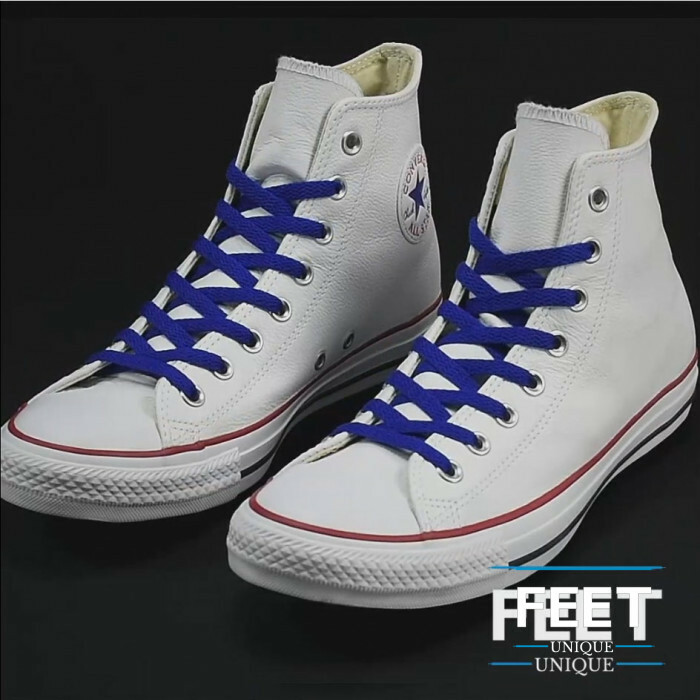 For maximum impact, we’d recommend our flat blue shoelaces with shades of white, green or red. You can handle the rest.